The 6th Board of Directors and Supervisors for Taiwan Public Television Service Foundation (PTS) took office on September 26th 2016, made up of18 board of directors. Former director of the Council for Cultural Affairs Yu-Chiou Tchen was appointed as the chairperson. On December 2nd 2016, the new Board appointed prestigious documentary filmmaker Ms. Wen-Chieh Tsao as new President of PTS. She has served as Minister of the Council for Cultural Affairs; National Policy Advisor to the Office of the President of the R.O.C. (Taiwan); Ambassador-at-large; Secretary General of the National Cultural Association; Chairperson of the National Chiang Kai-Shek Cultural Center and on the board of the National Culture and Arts Foundation. 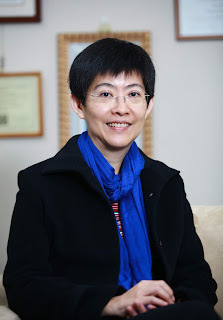 She has held the positions of Chair of the Department of Music, Dean of the Graduate School of Music and Dean of the College of Fine and Applied Arts at National Taiwan Normal University (NTNU). 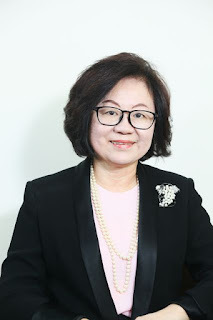 She currently serves as Chair of the board of Taiwan Public Television Service Foundation and Chinese Television Service, and, as well as on Honorary Chairperson of Egret Culture and Education Foundation, and President of Alliance Francaise de Taiwan. Her rich performance experience includes recitals in France, Belgium, Italy and the US and collaborations with numerous world renowned orchestras. She has been recognized with many prestigious awards including from the government of France and has authored and edited a plethora of publications. As an experienced producer and director, TSAO has produced various documentaries such as “A Random Life” (1998, First Prize of Cultural of Locality Festival, being invited to Margaret Mead Festival), “Please Come Home My Boy”(1998, Merit Prize in TIDF), “Heavenly Peace in Small Town” (2001, Opening Film in Taiwan International Ethnographic Film Festival), “Dreaming of Home〜Marginal Tribe of the City” (2003, Taiwan International Ethnographic Film Festival), “Song Way Back When”(2015, Chiayi City International Art Documentary Film Festival) ,“The Eyes of Nan Guang Deng” (2015, Taiwan International Ethnographic Film Festival, 2016 New Narratives Film Festival) and “Art Duet—Voice of Two Generations (Visual Arts)” (2016, Chiayi City International Art Documentary Film Festival). - Founder & Chairperson of C&E Associates Inc.